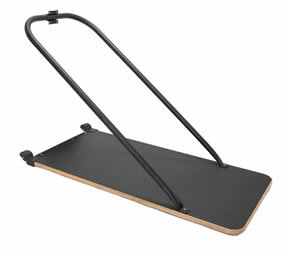 For use with the black SkiErg, the floor stand provides an alternative method of supporting the SkiErg if wall mounting is not an option. It makes the SkiErg free standing, allowing you to use the SkiErg anywhere. With a steel support and wood interior, the floor stand is tough and well-built, yet has caster wheels to move it easily into and out of place. The anti-skid, wear-resistant base offers firm footing.